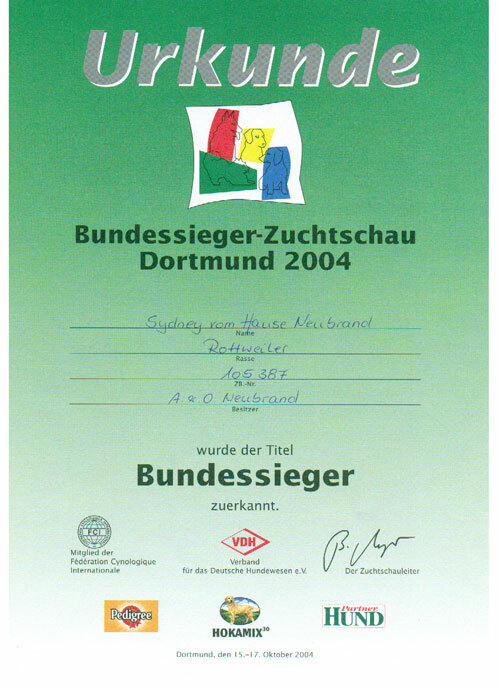 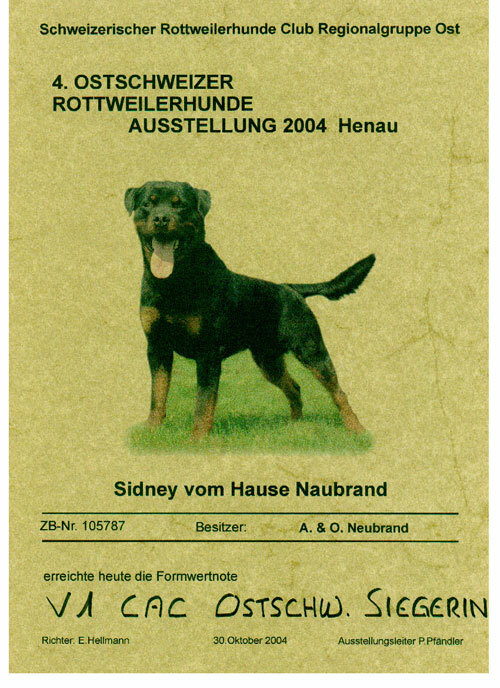 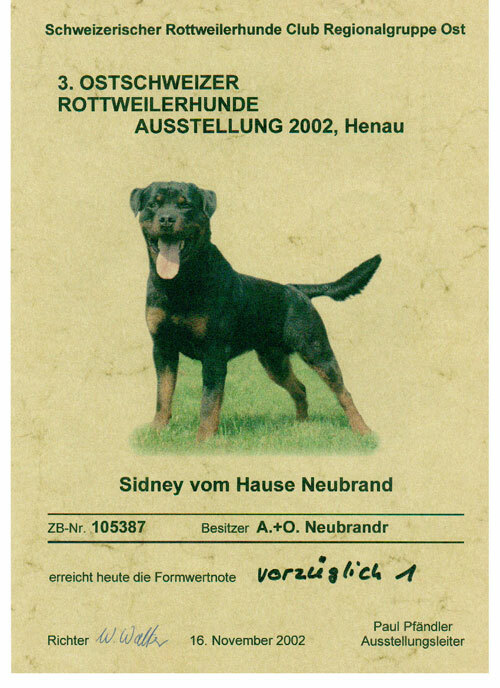 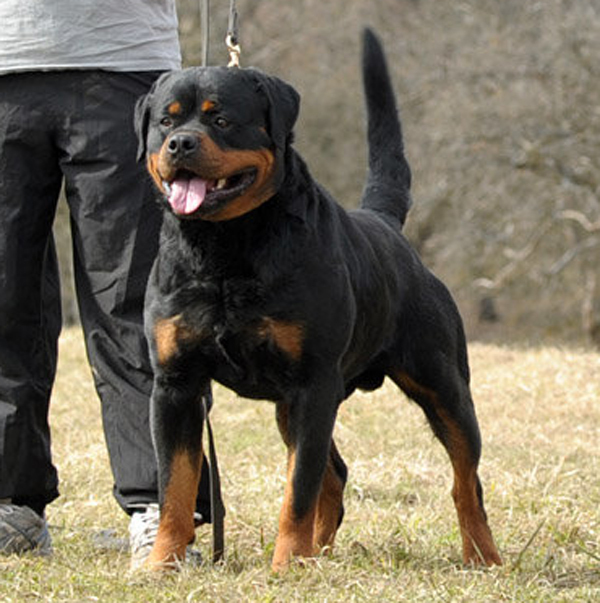 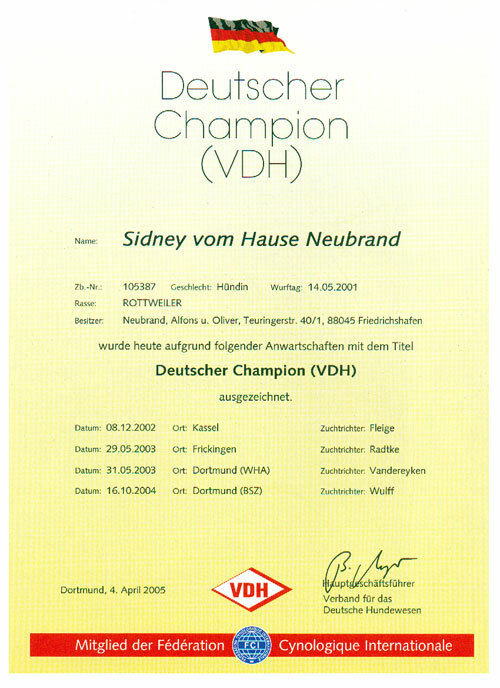 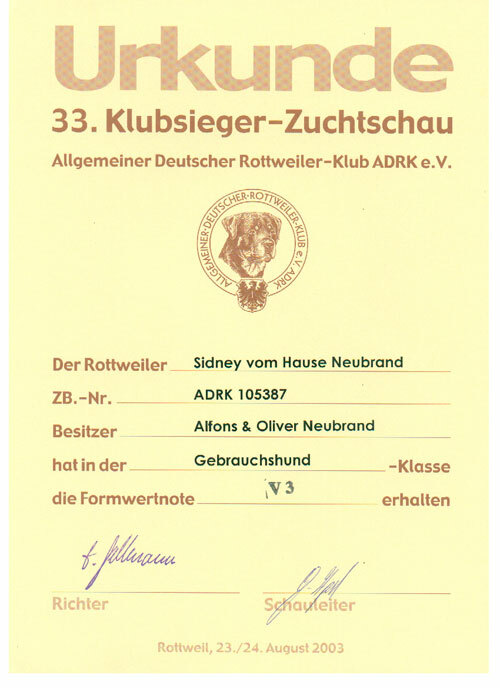 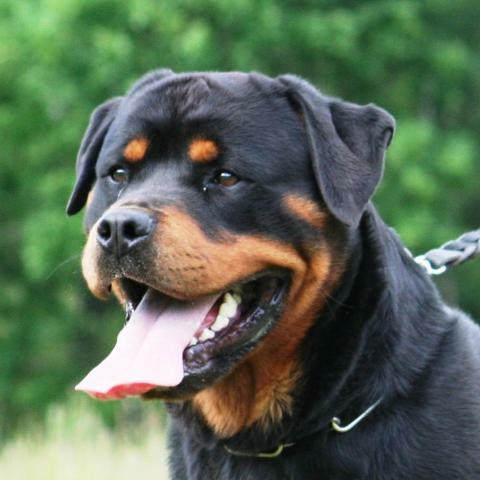 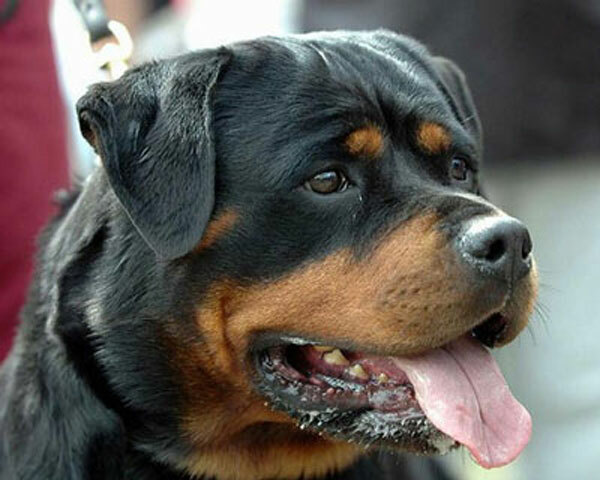 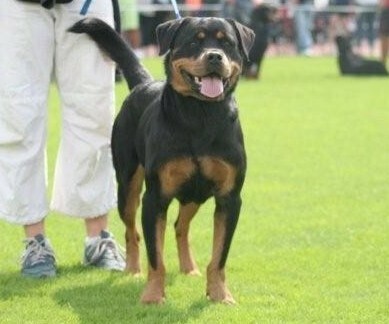 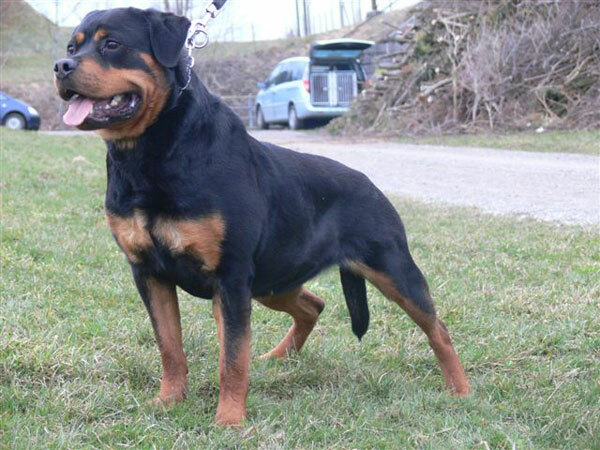 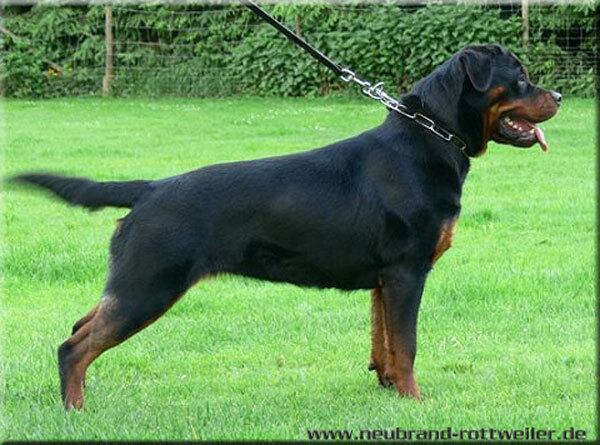 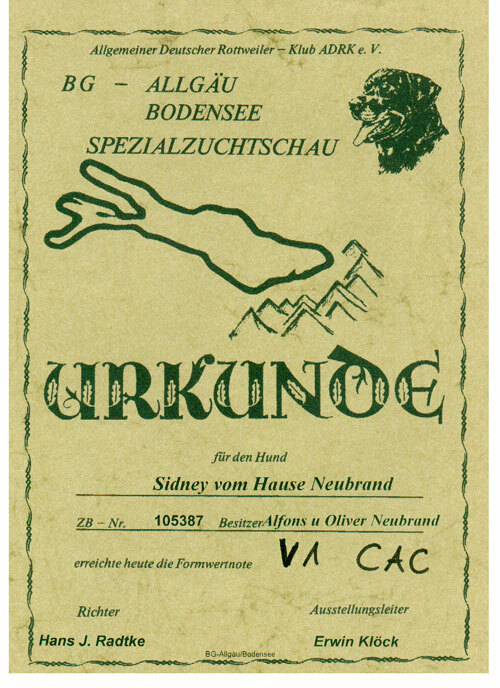 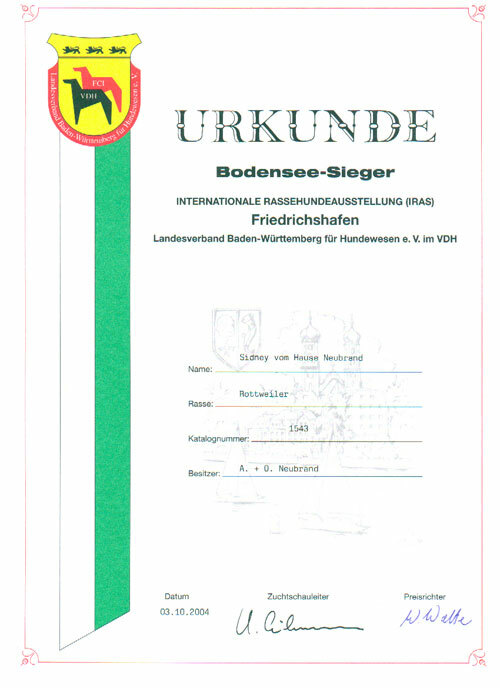 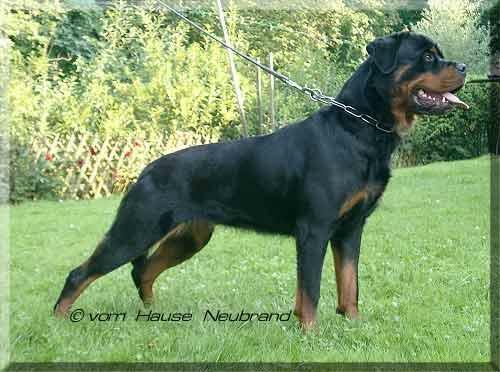 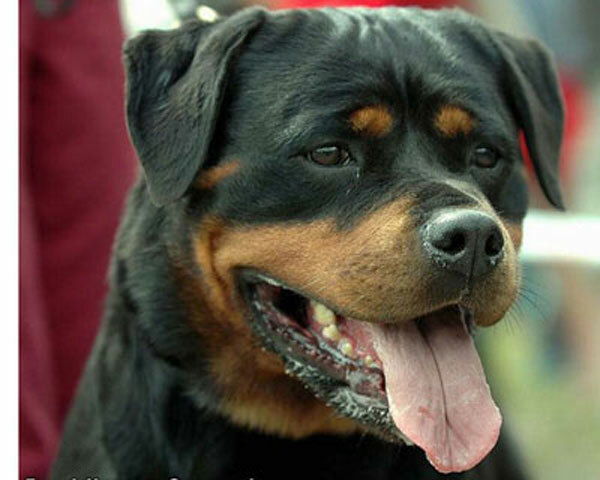 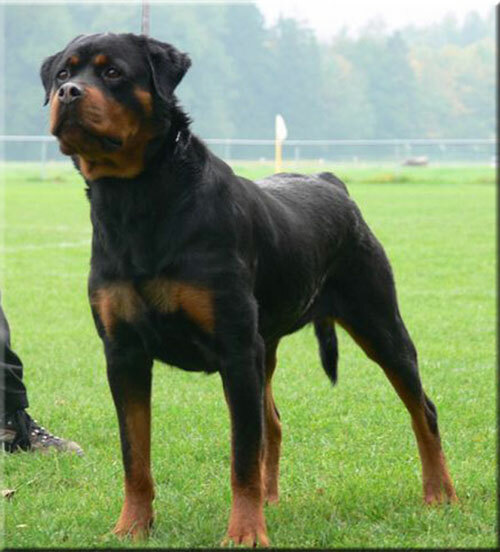 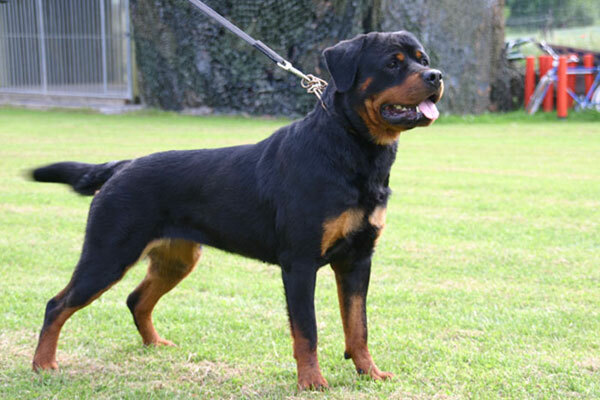 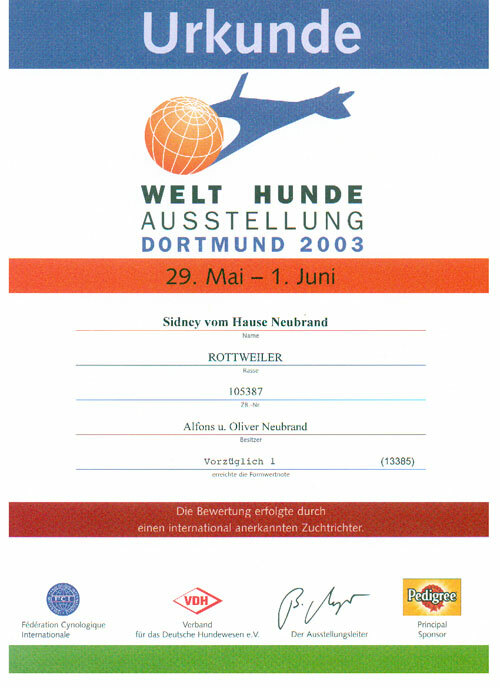 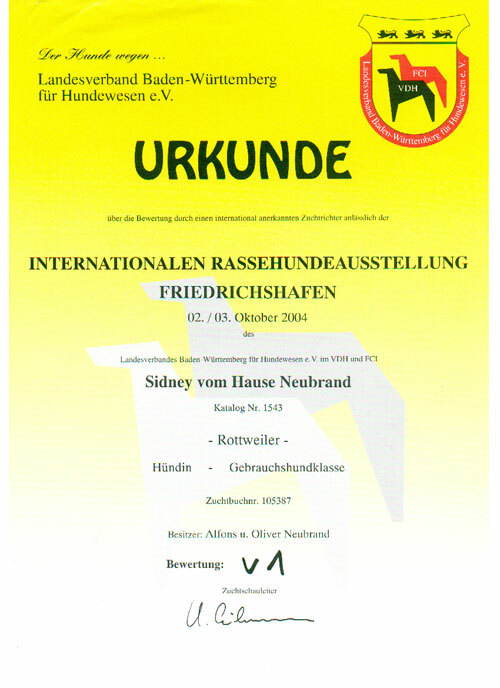 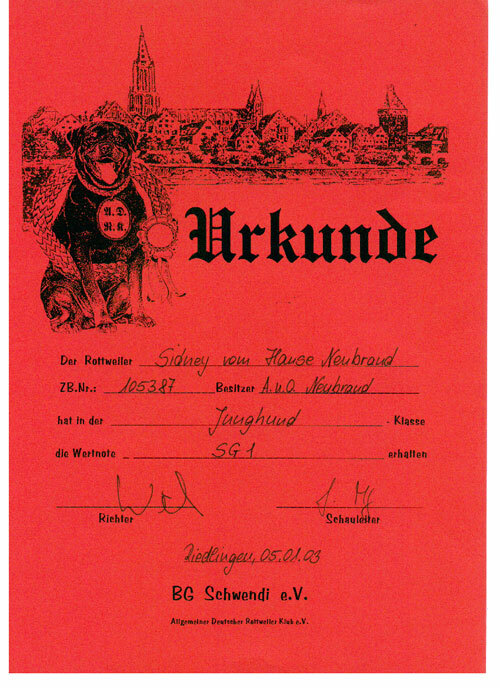 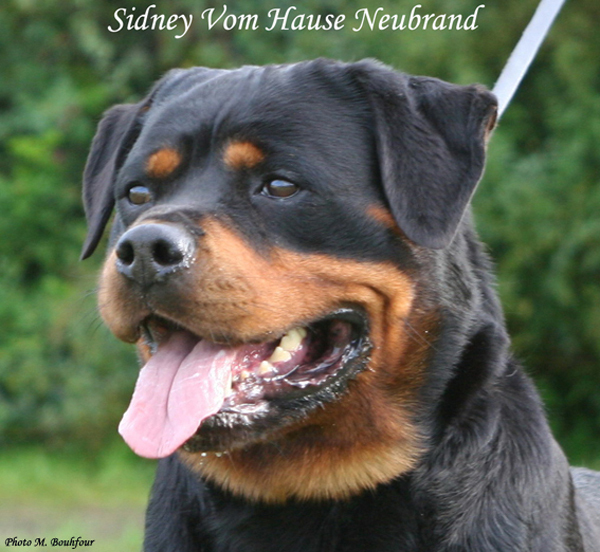 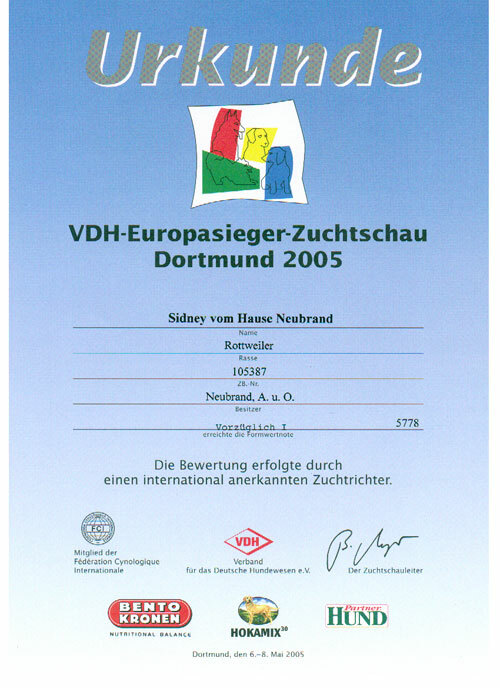 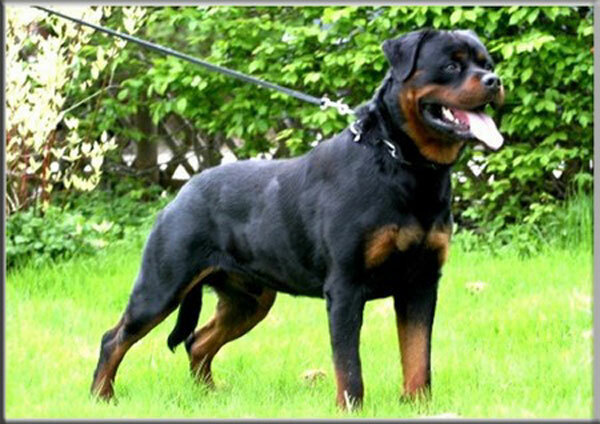 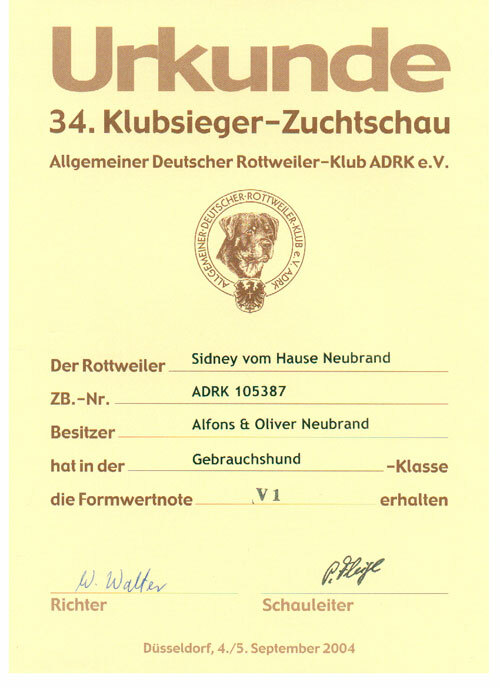 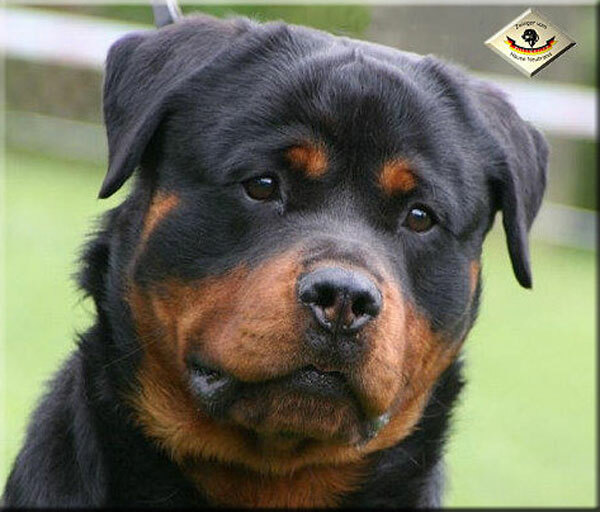 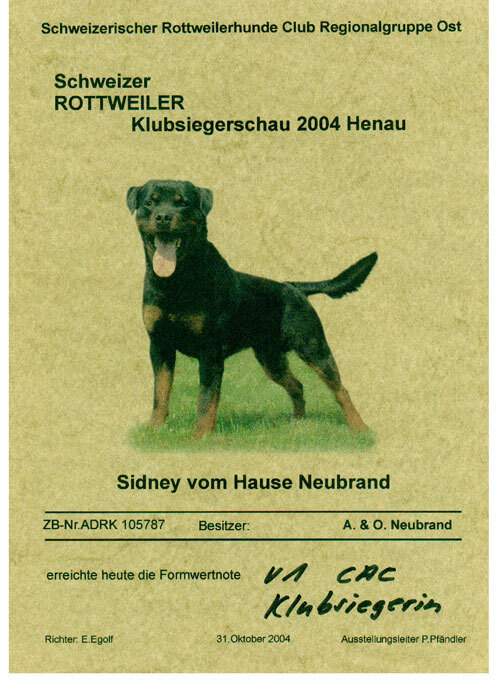 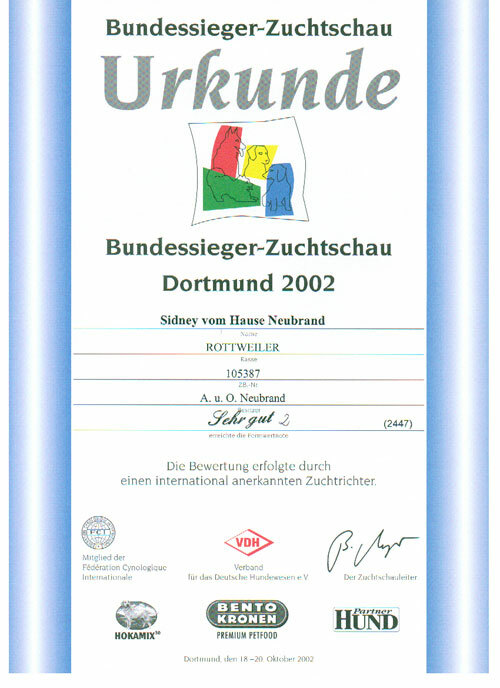 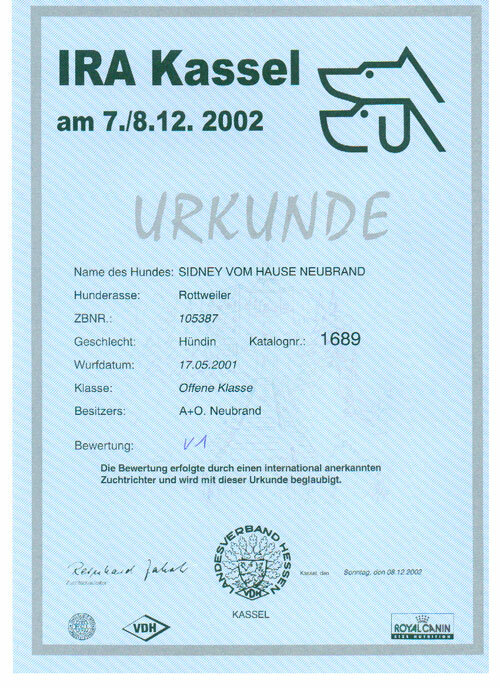 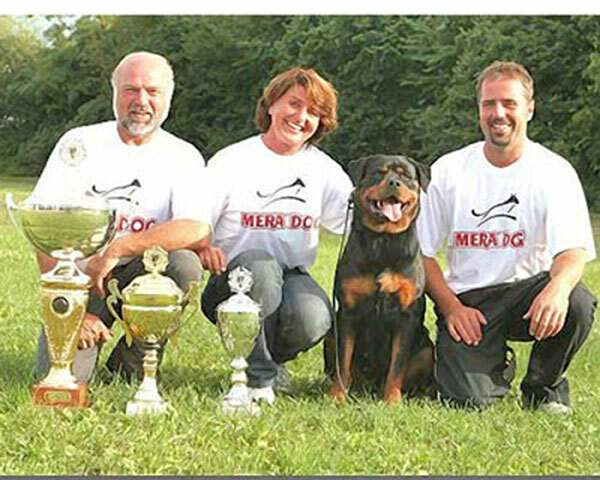 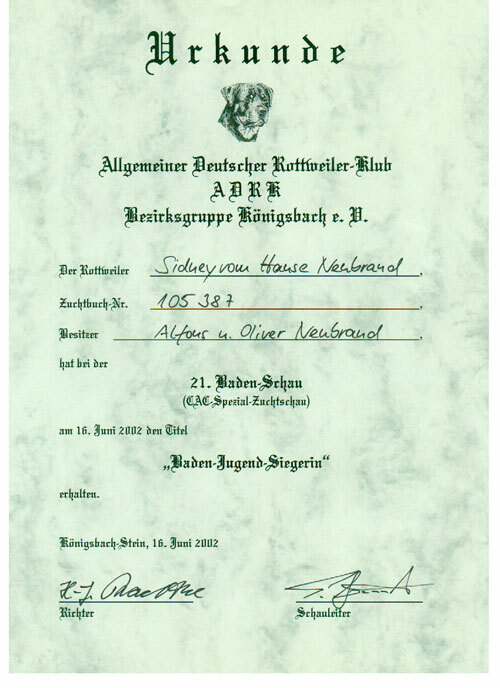 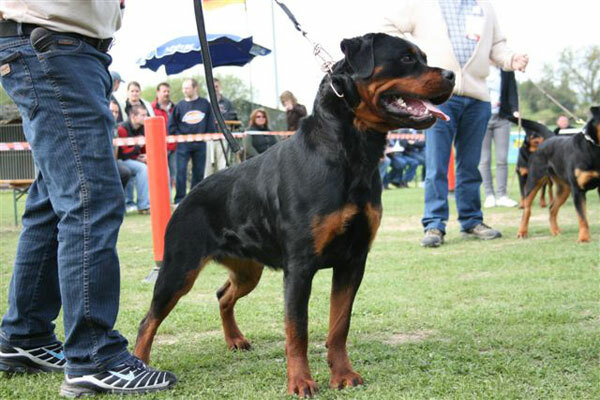 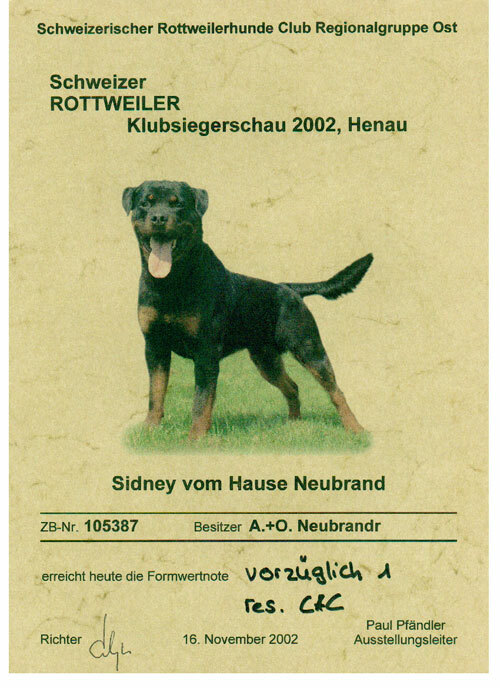 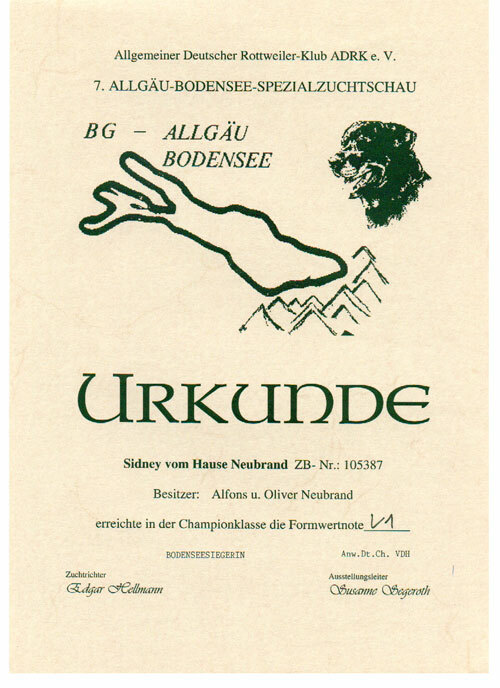 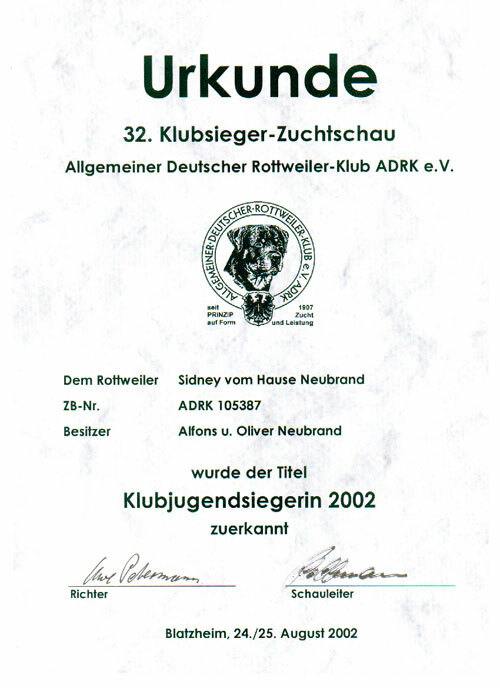 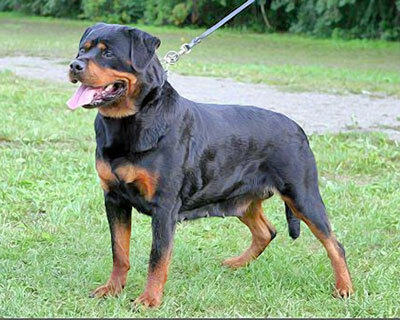 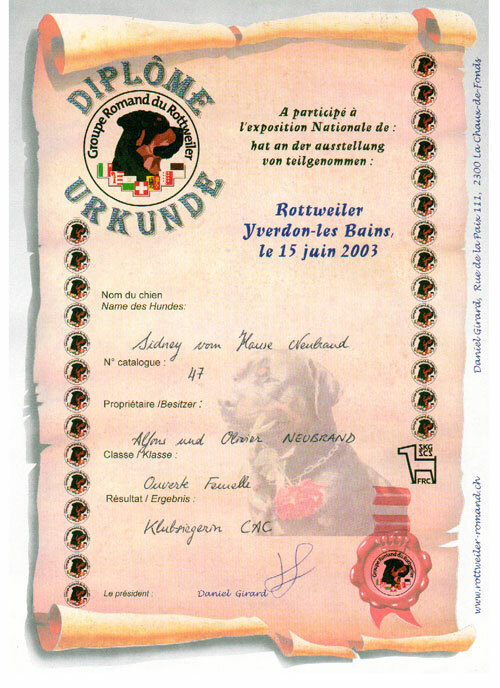 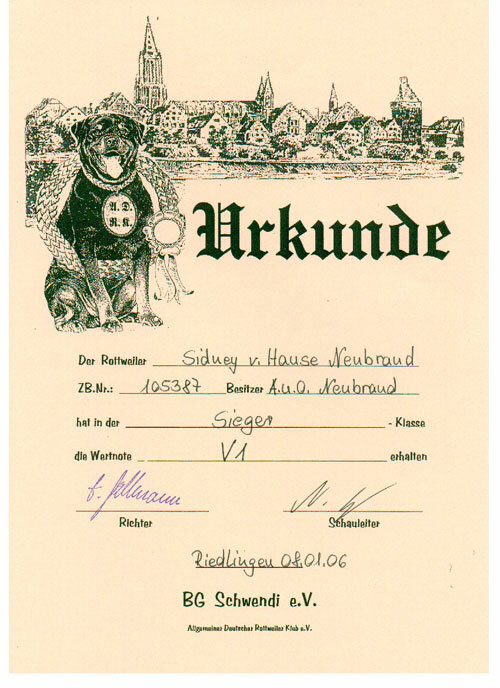 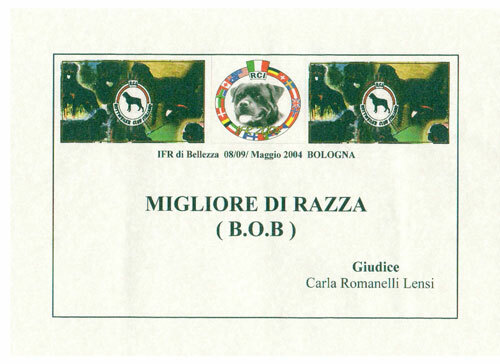 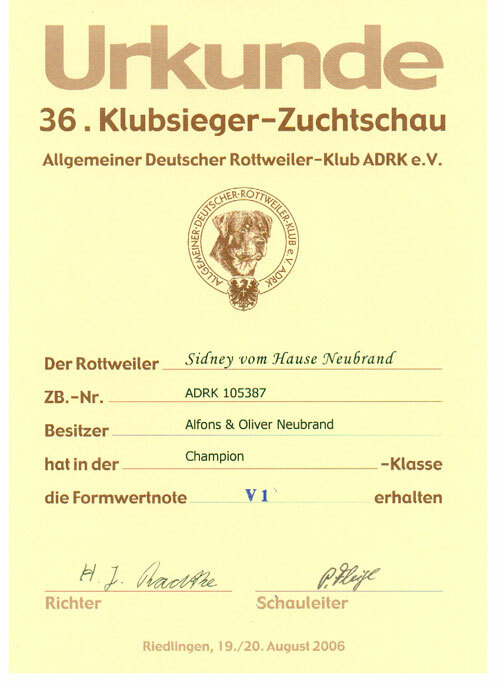 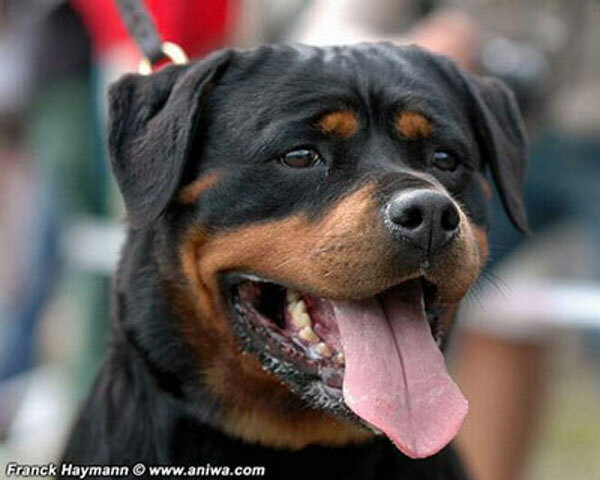 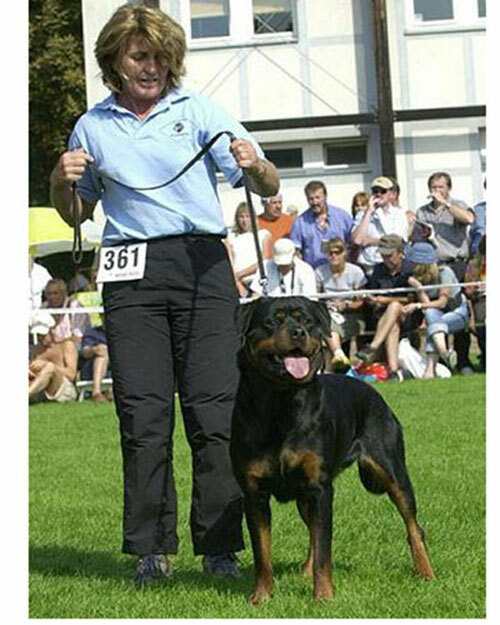 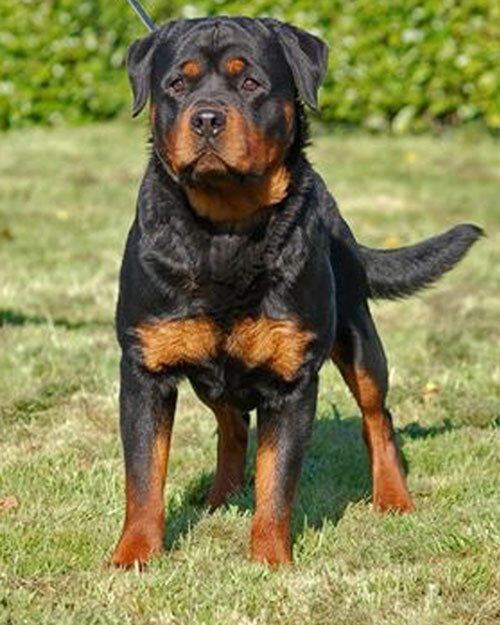 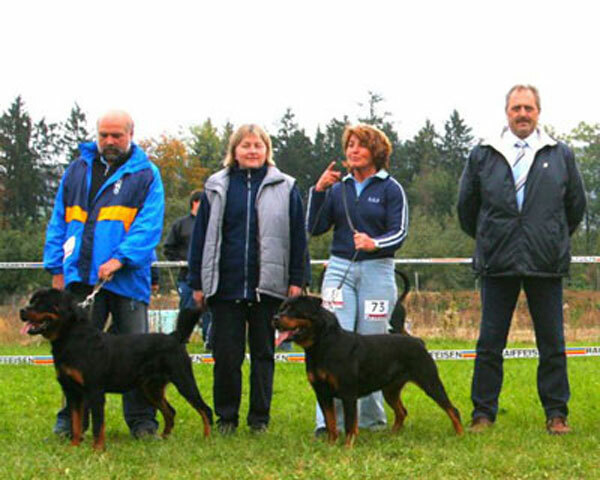 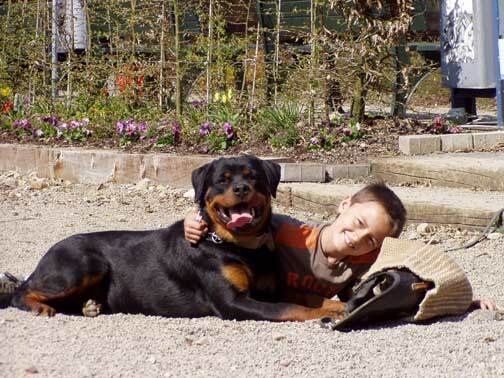 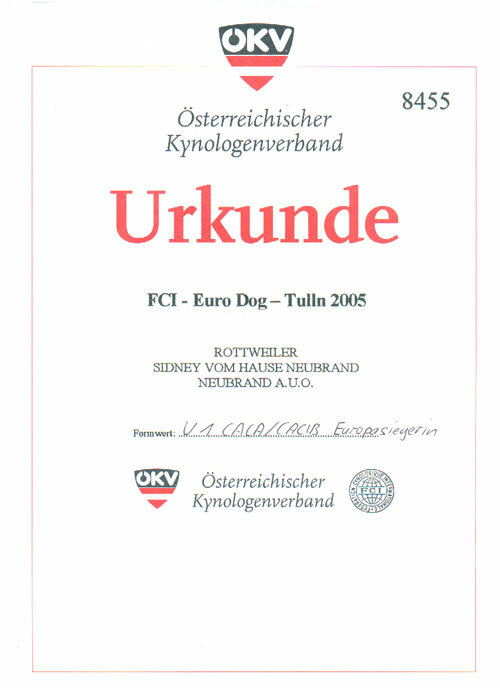 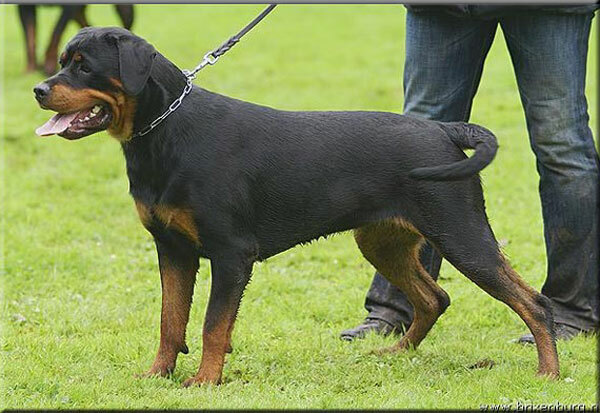 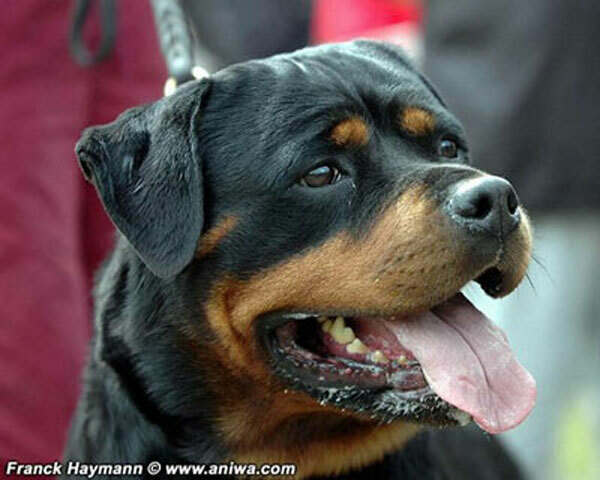 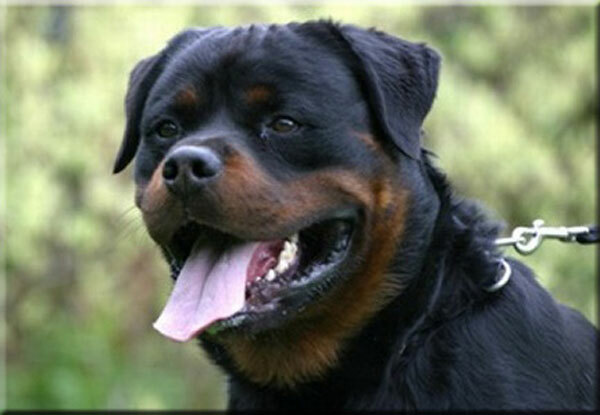 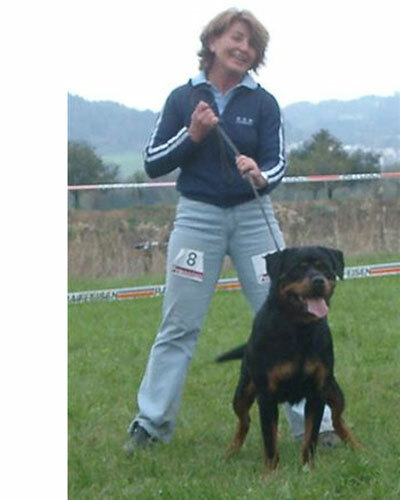 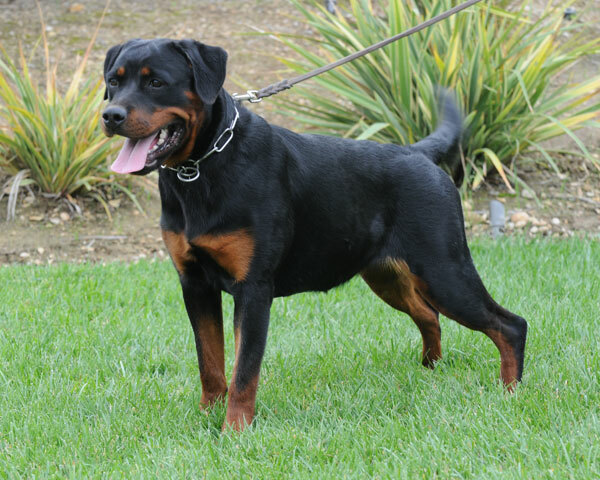 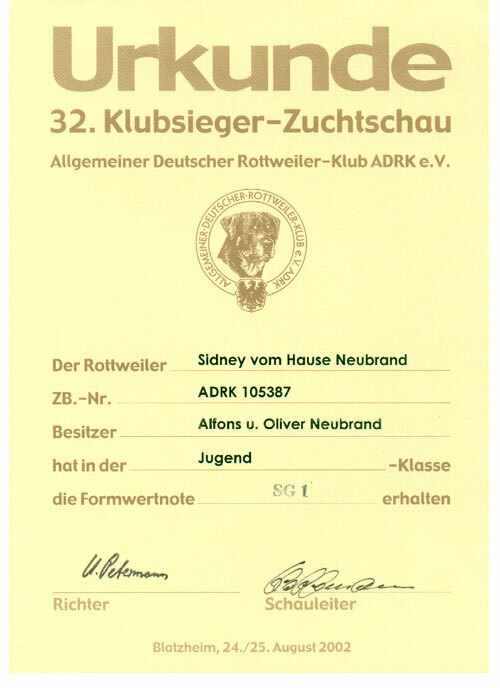 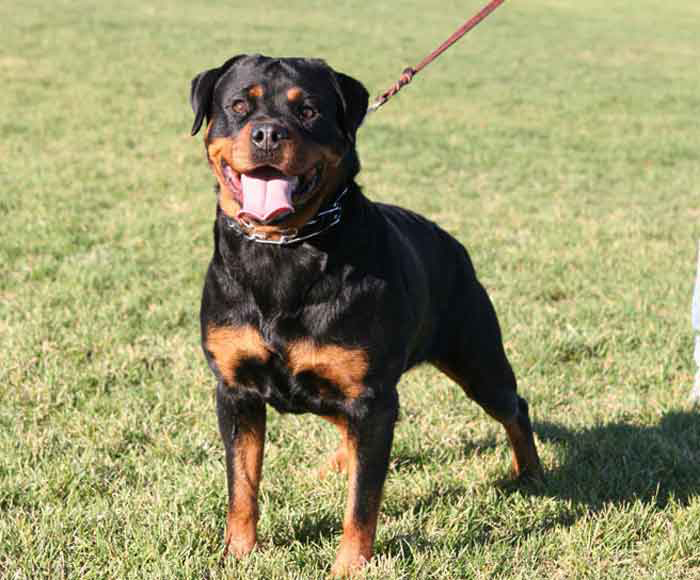 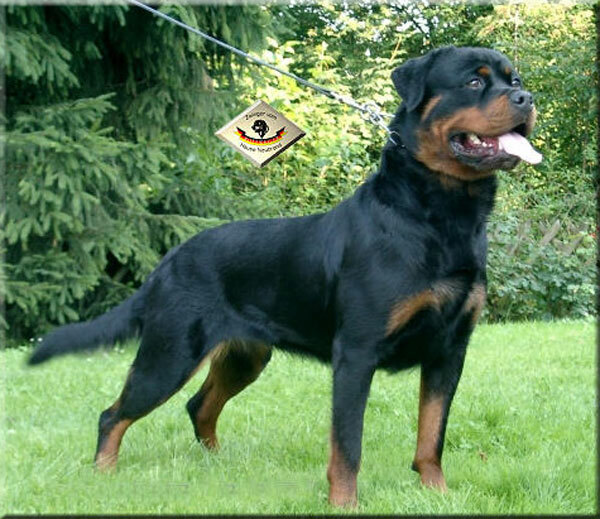 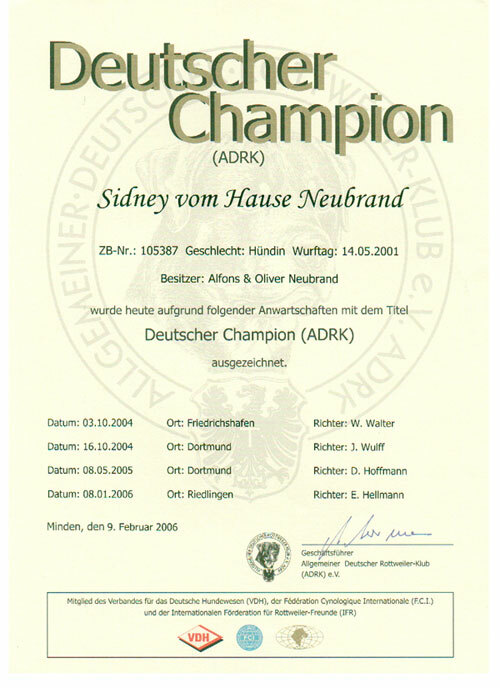 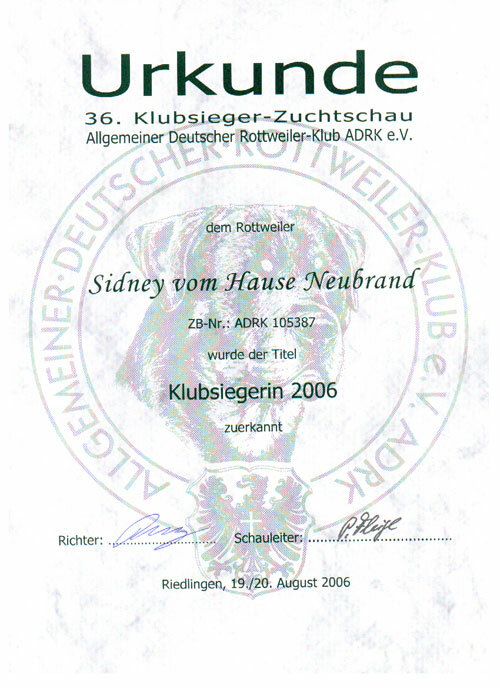 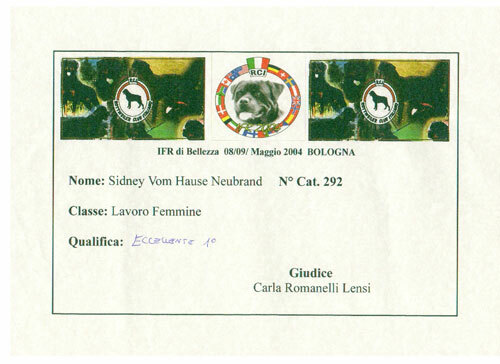 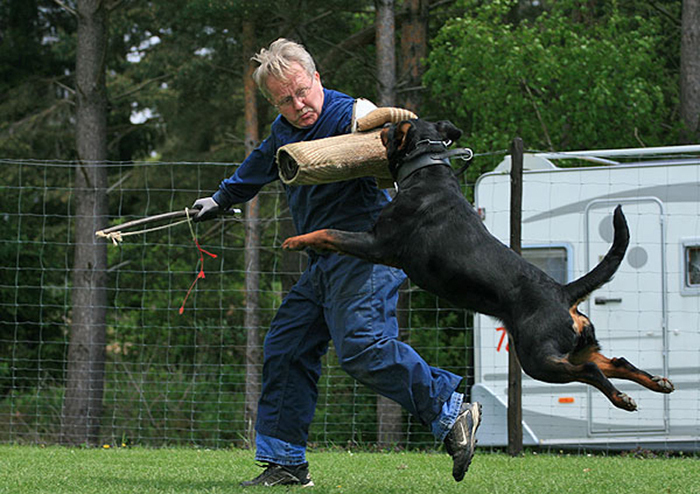 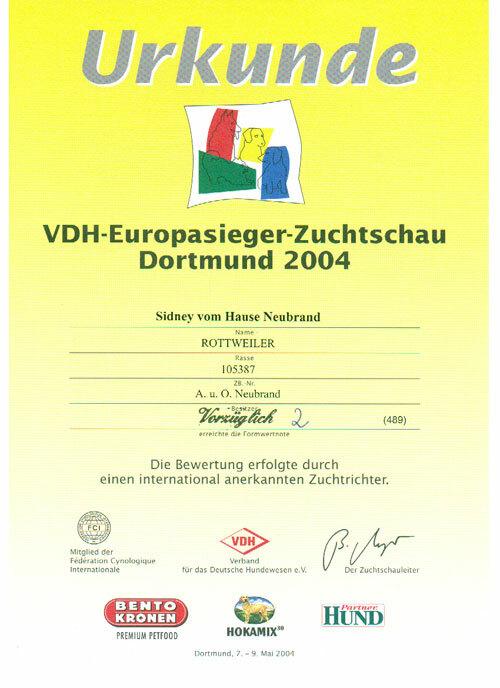 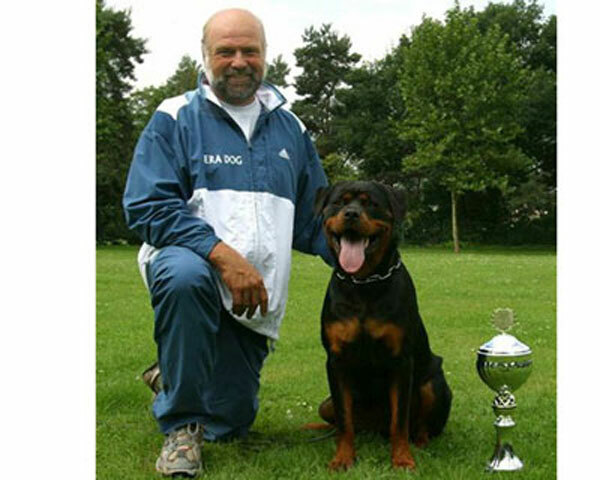 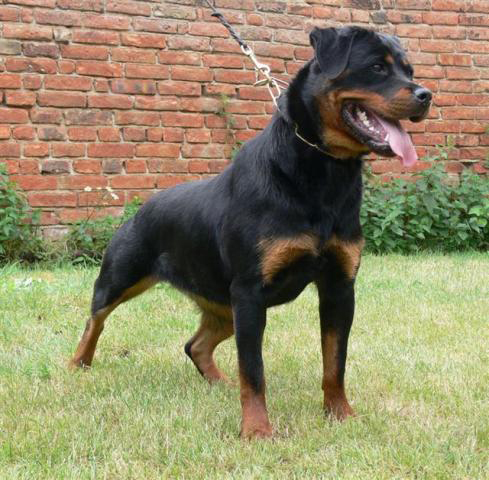 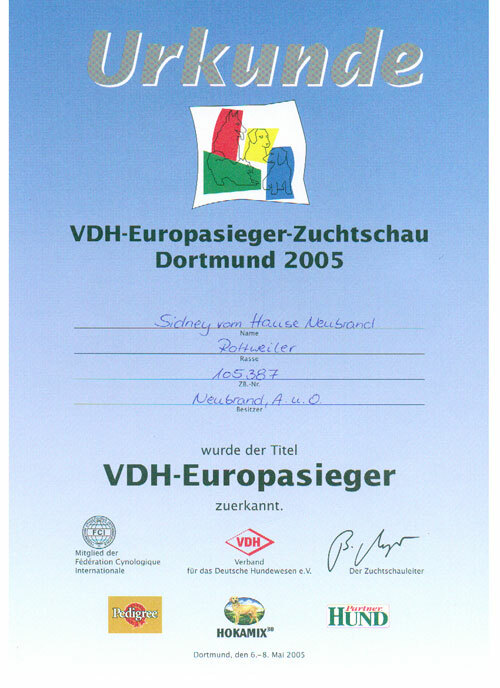 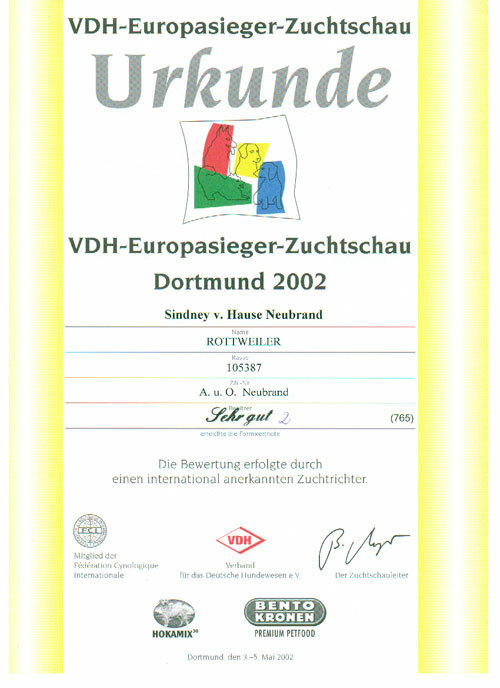 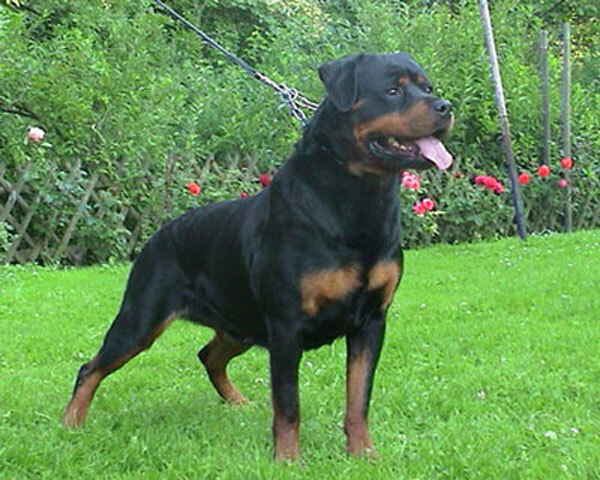 We are extremely happy and fortunate to have recently imported and own the current most titled Rottweiler in all of Germany, the world famous SIDNEY VOM HAUSE NEUBRAND from our friends of the world famous vom Hause Neubrand Kennels in Germany. 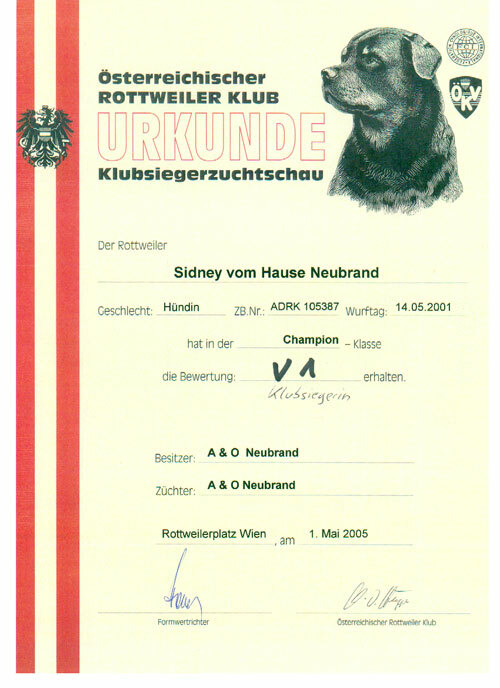 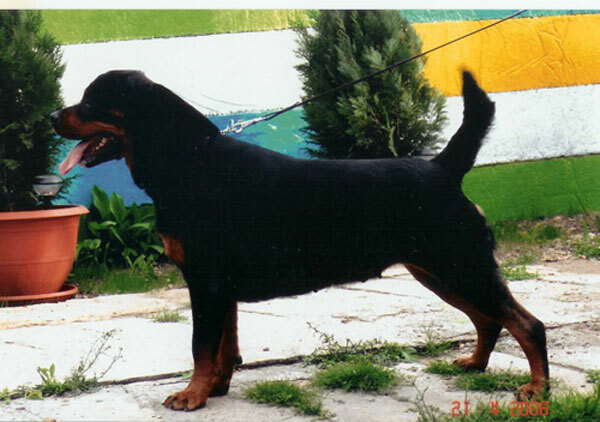 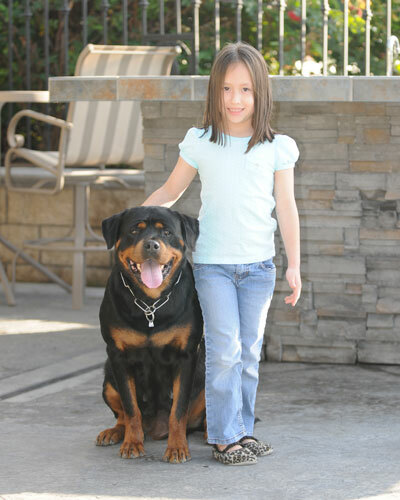 Sidney is a large (62 cm) broad and well-built dog with very large and beautiful headpiece. 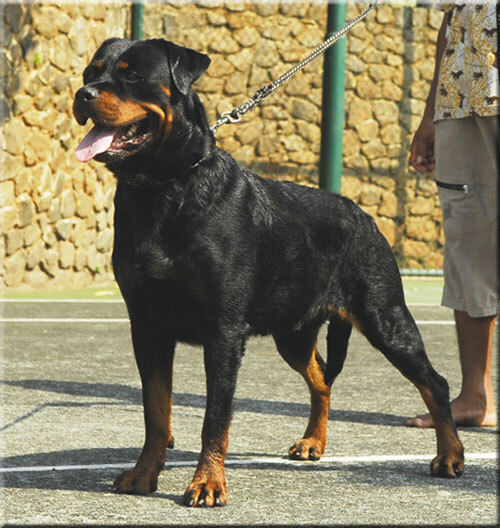 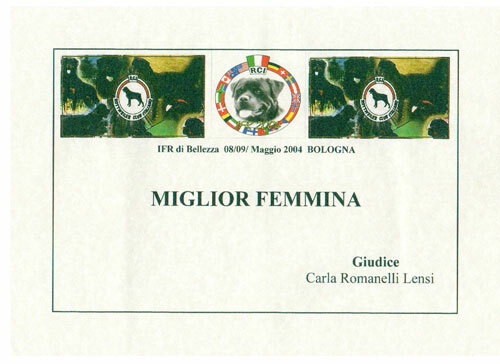 Beautiful well proportioned body, strong bone, black mouth pigmentation, very dark brown eyes (1B), short broad muzzle, rich mahogany markings and strong fluid movement.